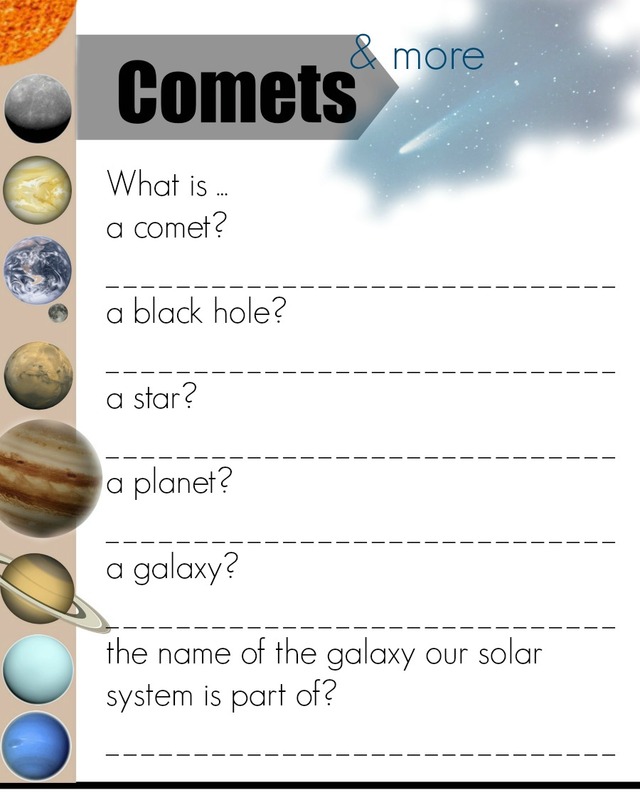 Use this 20 page digital download PDF to teach your child about the solar system. 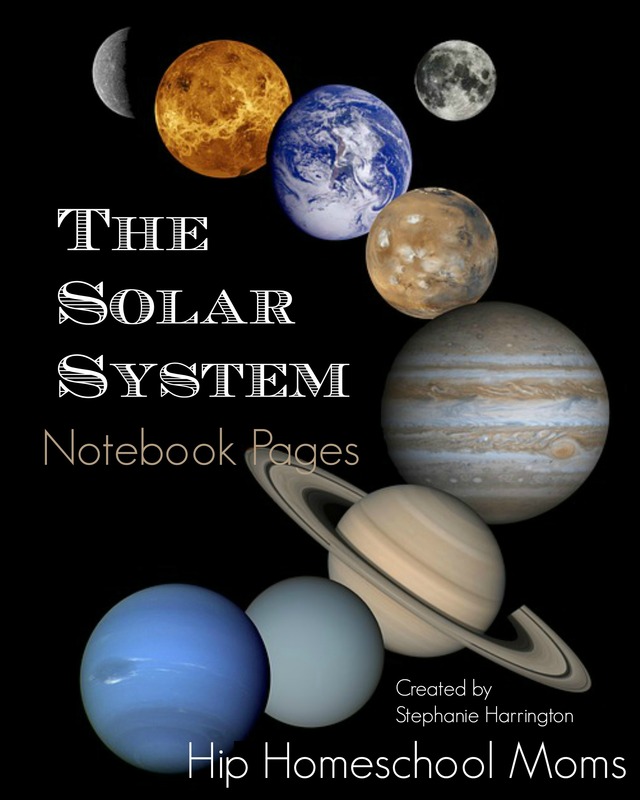 This packet covers all the planets, including Pluto and the dwarf planets, as well as the sun, moon, comets and more. 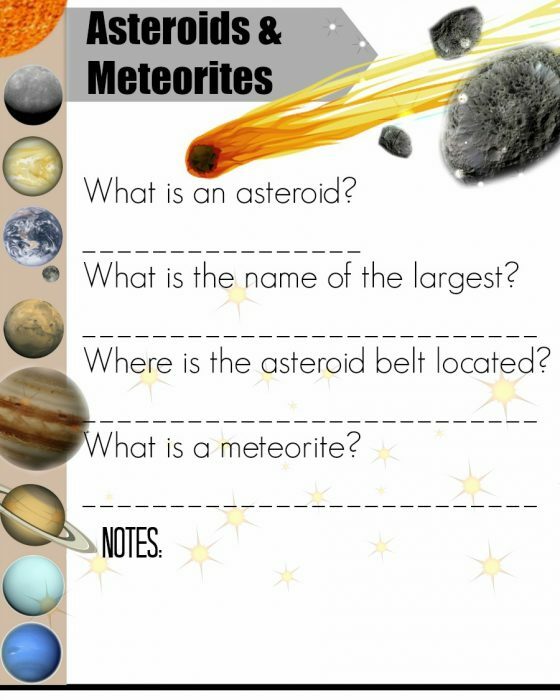 End of the packet also offers blank lines pages for report writing and more! 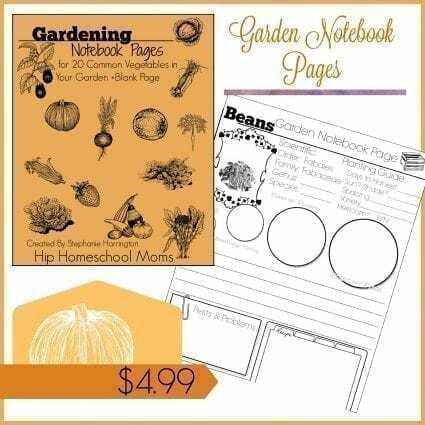 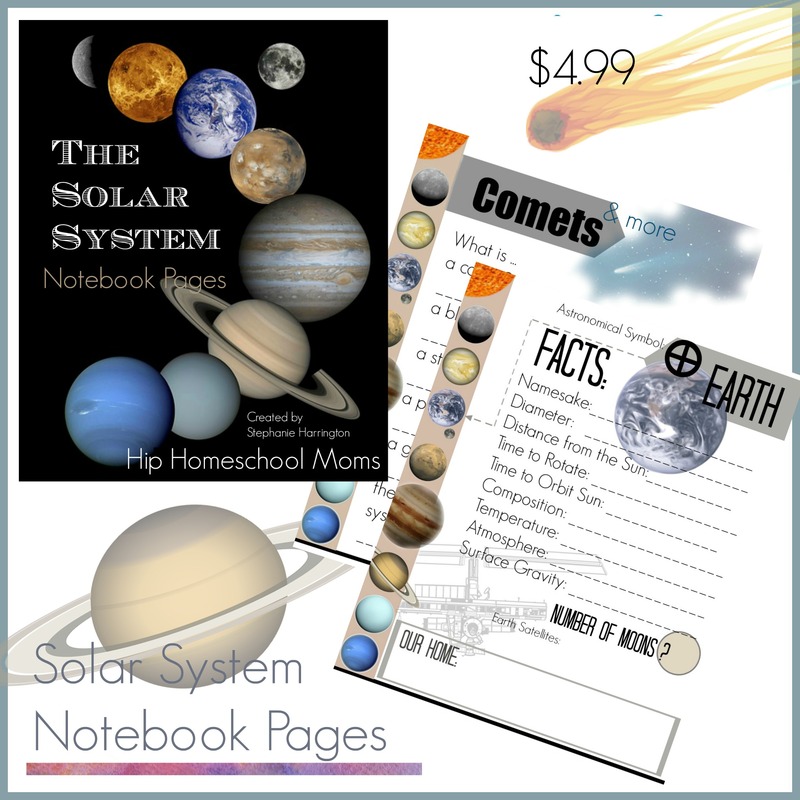 Have your child learn the basics of The Solar System with fun and appealing Solar System Notebook Pages. They are beautiful full color pages and are sure to catch the eye of your young cosmonaut. 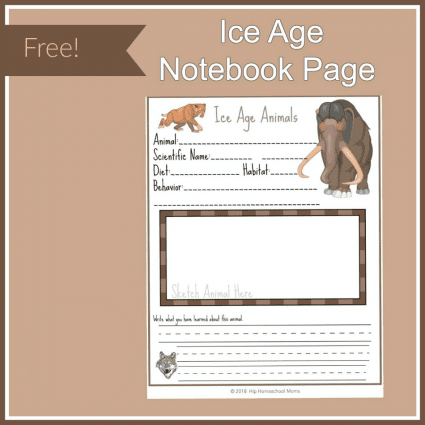 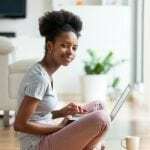 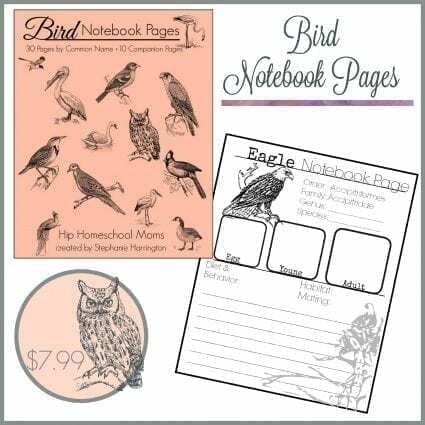 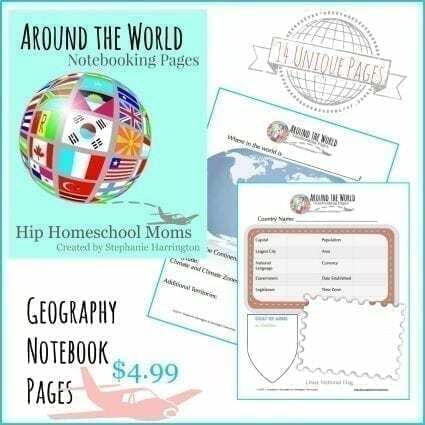 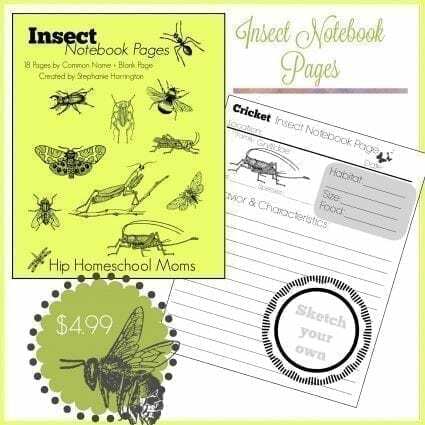 Whether printed in full color or black and white for economy, they will add to your child’s science notebook for sure. 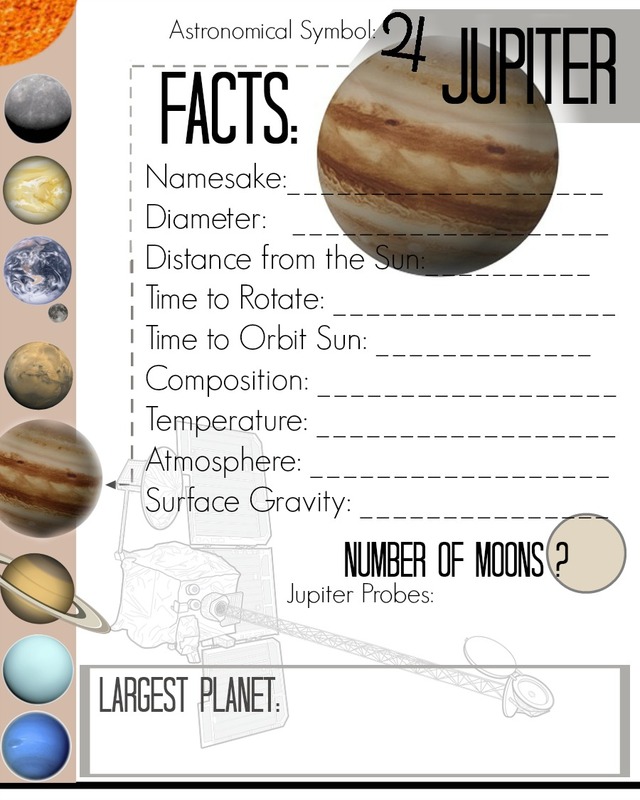 Fact Pages for Each Planet– Distance from the sun, diameters, composition, #of moons, etc. 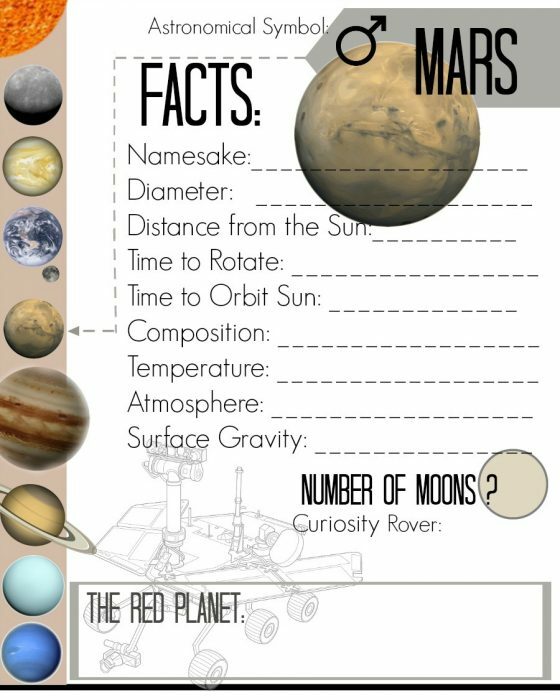 Additional Fact Pages– Included are the sun, moon, asteroids, meteorites, comets, Pluto & dwarf planets. 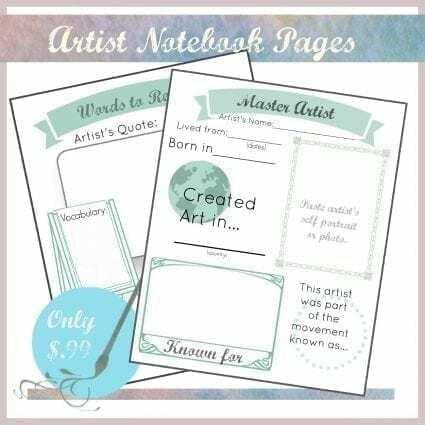 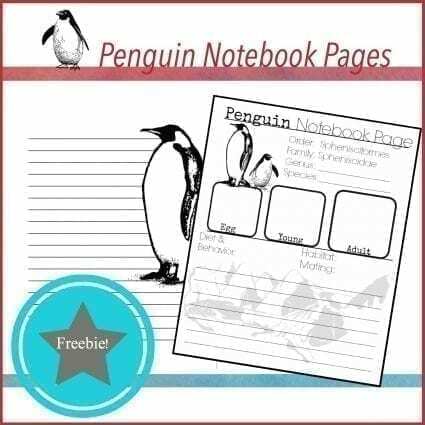 5 Lined Pages-For mini reports, paragraph writing or copywork. Many people have asked about answer keys for this packet so they don’t have to go digging for answers. I found the perfect place to get the answers for almost all the stats in my pages: DK Find Out ( Solar System ) You will see that when you click on a planet you can go to a specific page for each planet that has most of the information you need for filling out the pages. 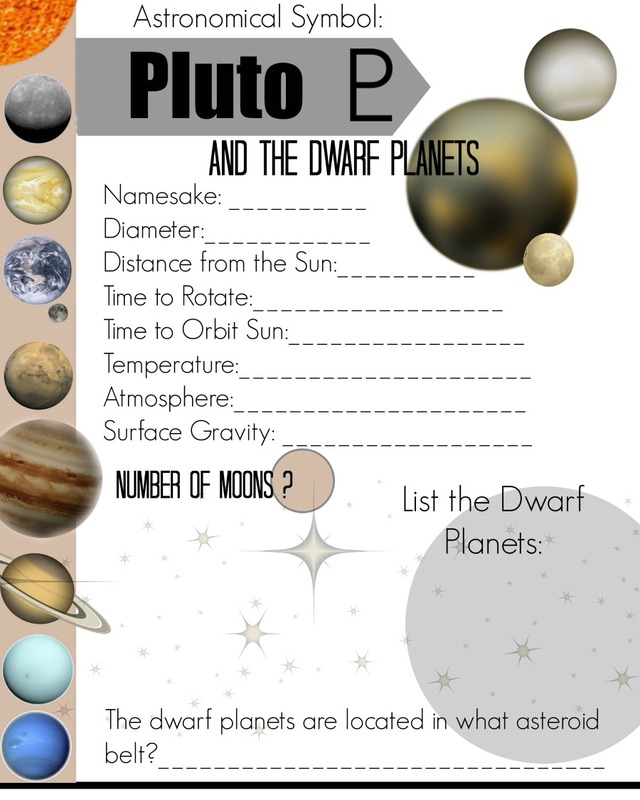 Another cool thing is that it’s interactive, engaging and your child can explore on their own!